Thanks to its big park dotted with works of art and an exhibition area of more than 10 hectares which is completely accessible and a panoramic pavilion (323 sqm. 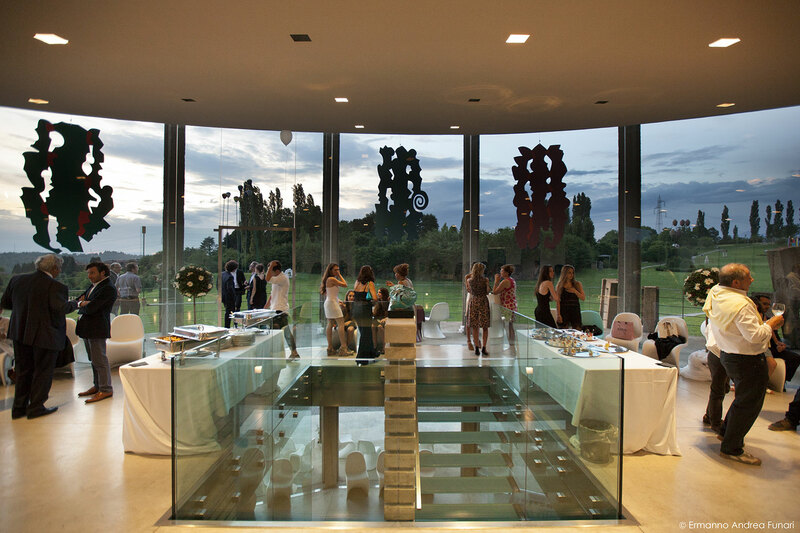 ), Rossini Art Site is configured as a stylish and extremely versatile location for events of any kind. 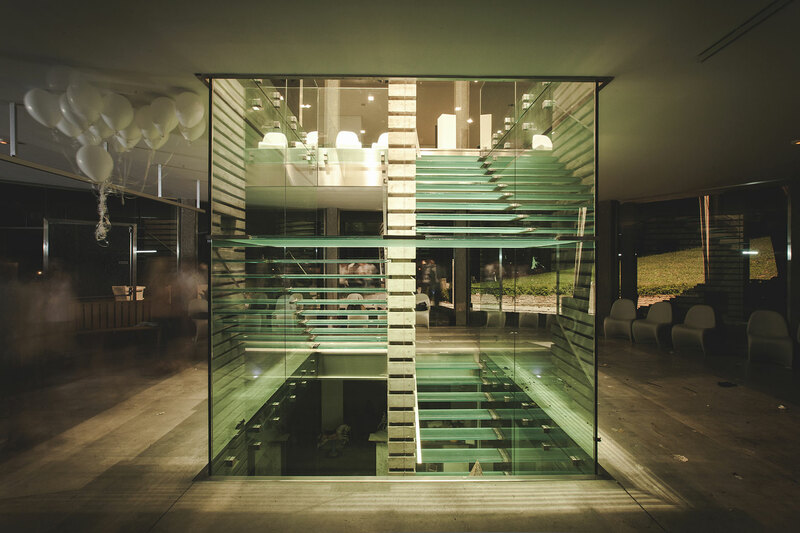 The pavilion is composed of two storeys: the upper storey (148 sqm. ), where all guests are welcomed. There are full-height glass walls and a large terrace that provides a unique view of the surrounding environment and its artworks. The lower storey (175 sqm. ), from whence you can access the Park Museum, is an open space that can be easily reinterpreted in accordance with the requirements for events. Both storeys offer great potential due to its maximum capacity of about 300 people (150 per storey), 160 to use the pavilion for a conference and 100 up 120 in the event of a sit-down dinner. 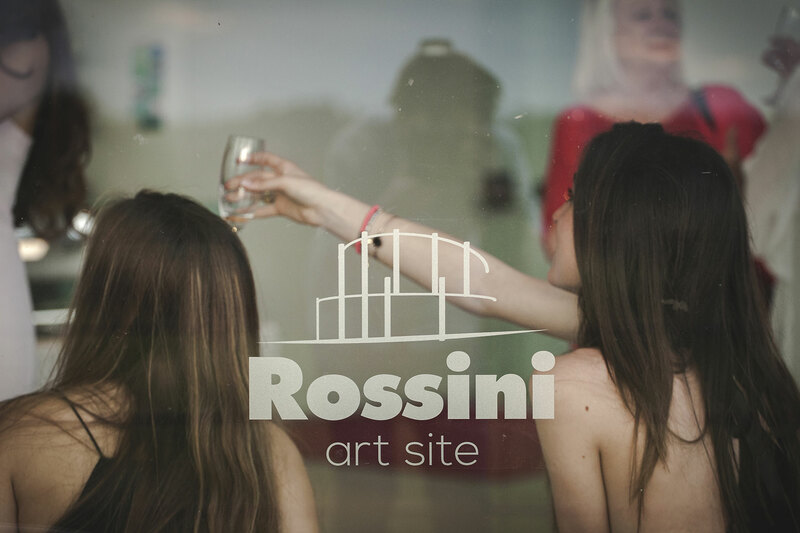 Rossini Art Site provides opportunities to manage a private event or be supported by our events manager with great professionalism, at your disposal for taking care of every detail. Business meetings, parties, ceremonies, conventions, press conferences, photo shooting, concerts, dj sets are only some possible uses for the location that offers many services, such as car/bus parking, an electric vehicle to move in the park and inside the pavilion, a gourmet kitchen at your disposal to cater, as well. Alongside the uniqueness of this place there are many solutions that Rossini Art Site offers to enhance your experience and ensure the success of every event: guided tours for the permanent collection of contemporary art can enrich the daily program, whereas RAS makes use of a network of professionals for a customised entertainment, in order to suggest cultural and recreational activities like site specific theatrical performances, art workshops and culinary labs, tasting sessions and live music. 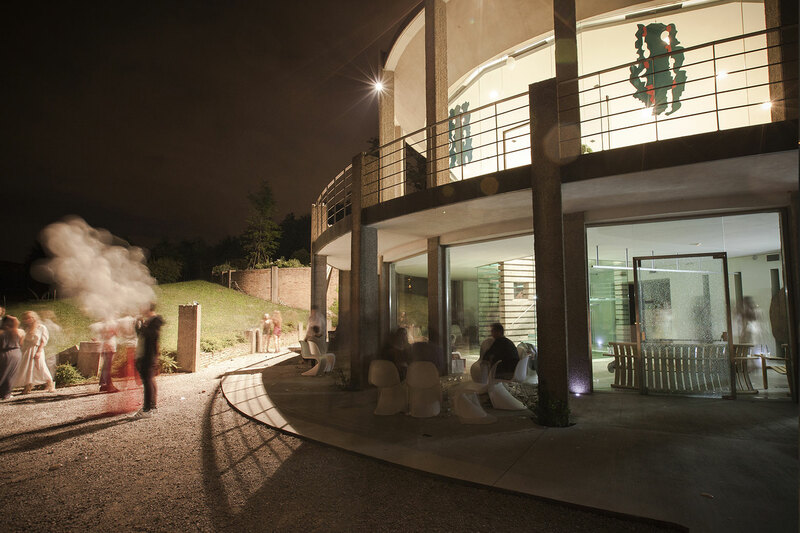 Rossini Art Site can be called an open-air museum surrounded by nature and is intended for different types of abstract sculptures both existing in the national and international territory over the past few decades. The Rossini Collection is considered as a real journey into the history of Italian sculpture from the end of the Second World War until today. 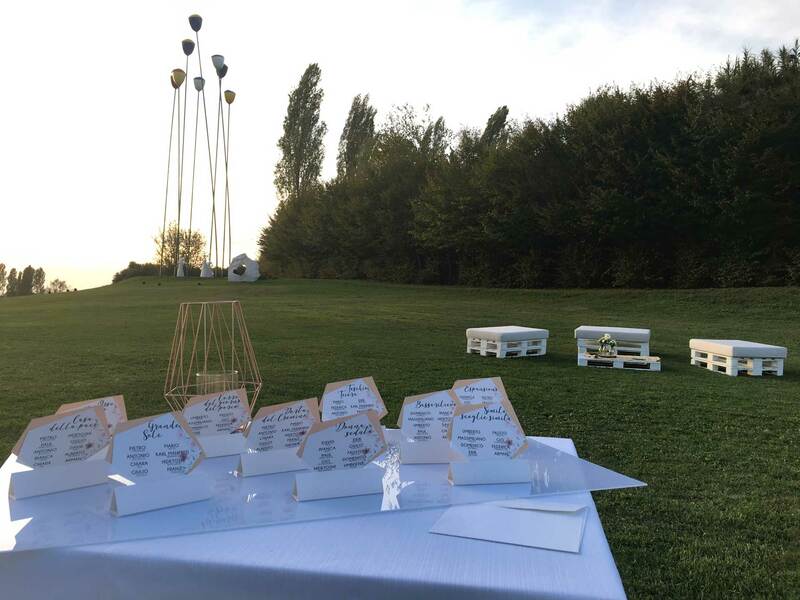 The main group of artworks installed in the park is made up of works of masters who most influenced the development of Italian Abstractionism, such as Turcato, Cascella, Consagra, Melotti, Munari, Pomodoro and Varisco. Many of these works have been created for a specific site on commission by Alberto Rossini to artists with whom not only a partnership, but also a true and mutual friendship has been established over the years. The park entrance pavilion, a welcoming space and core of every event, was designed by studio SITE and the New York architect James Wines, one of the greatest exponents of the Green Architecture. The pavilion roof is green, designed to be conquered by native vegetation. All materials are sourced locally and the floor-to-ceiling windows overlook the park and turn this architecture into a real telescope on the surrounding hills and mountains. Rossini Art Site is part of the Great Italian Gardens circuit, a network with more than 120 parks of spectacular beauty and high-level maintenance, with the purpose of promoting one of the greatest Italian cultural heritage. 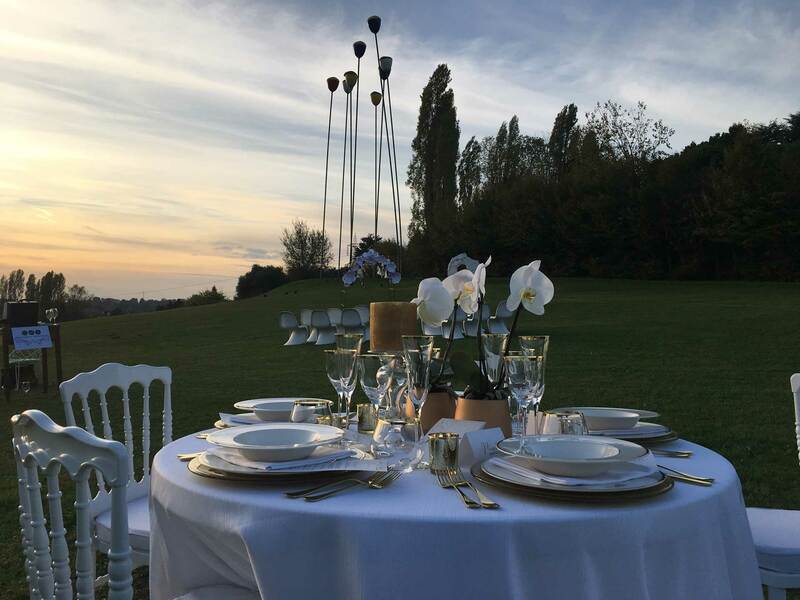 There is also a private accommodation providing the tourists with a place to stay overnight and a fancy restaurant (LEAR Gourmet&Relais) that can be used, if necessary, as outside supports inside the area of the park.